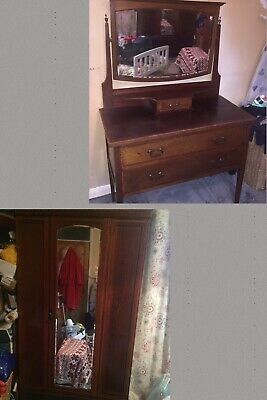 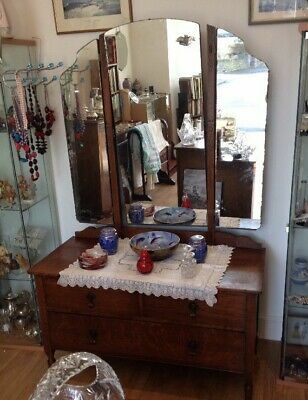 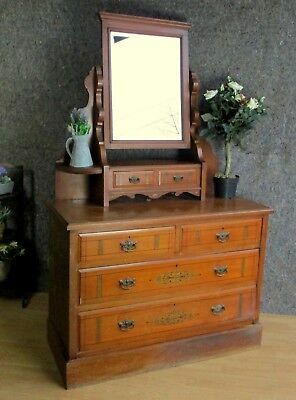 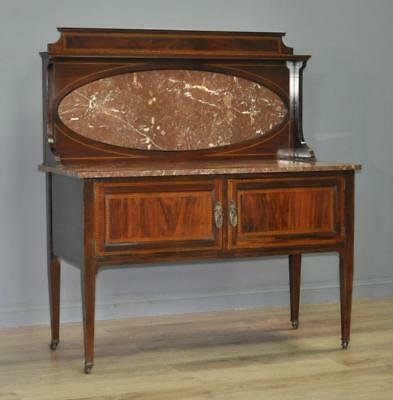 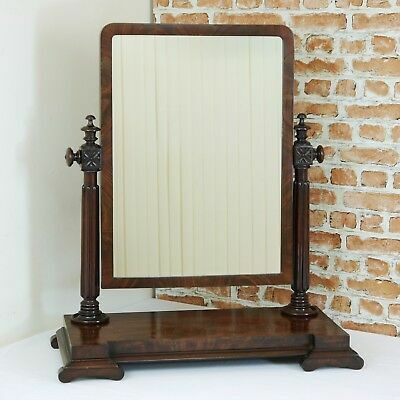 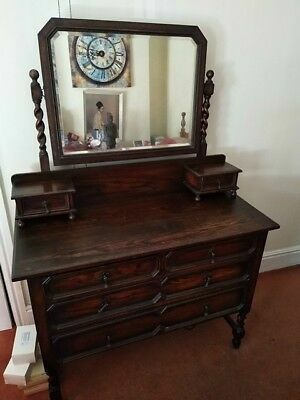 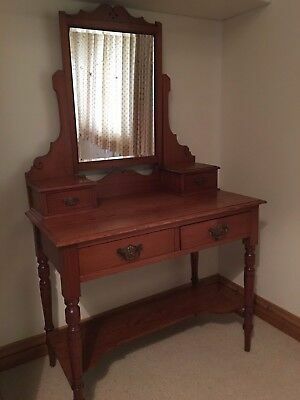 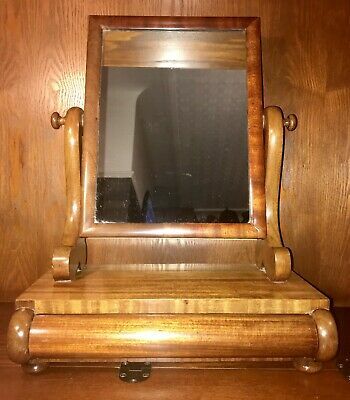 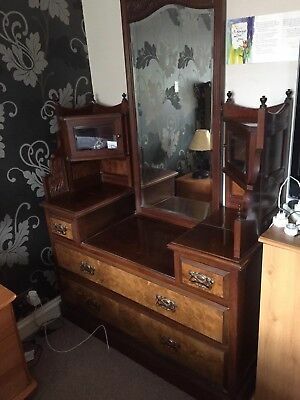 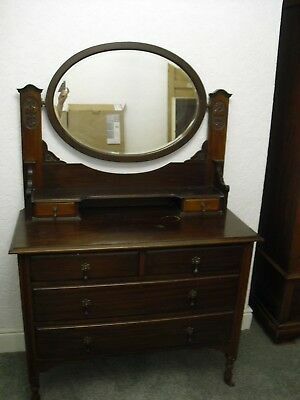 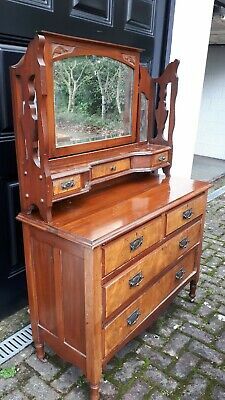 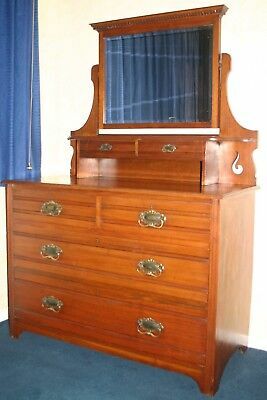 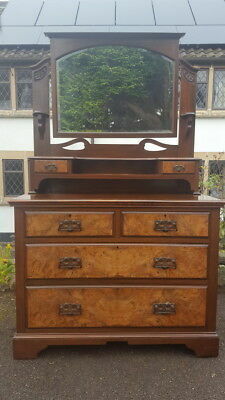 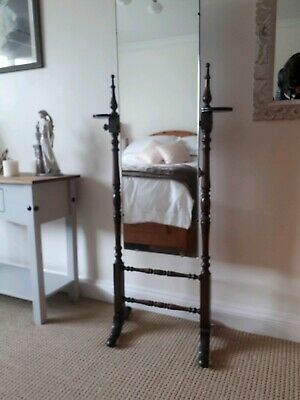 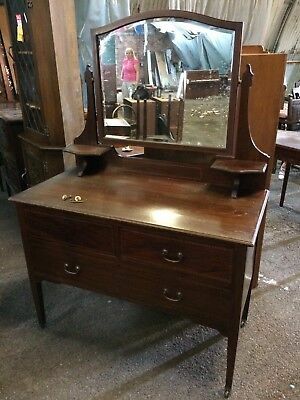 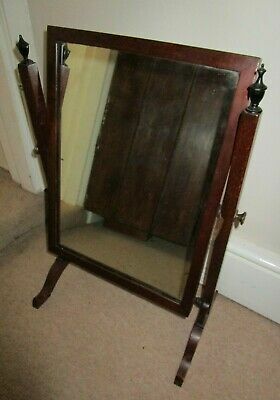 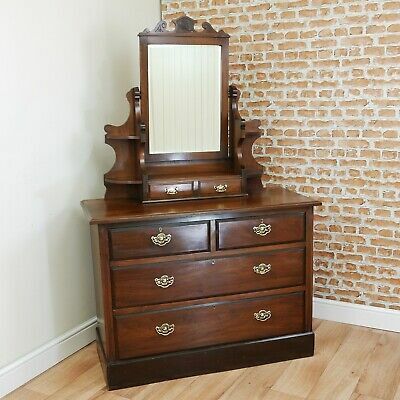 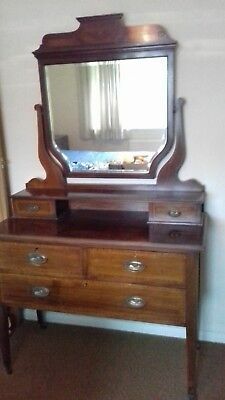 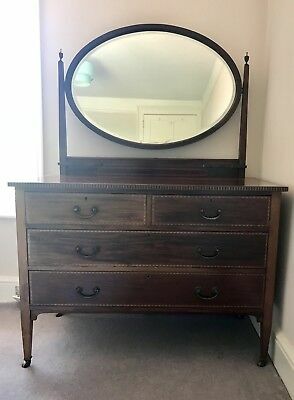 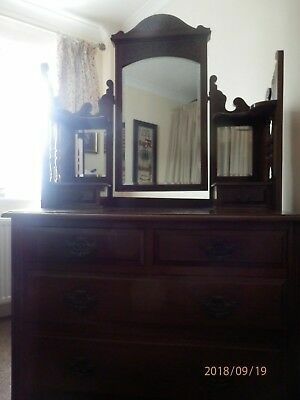 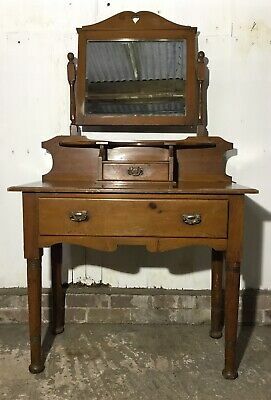 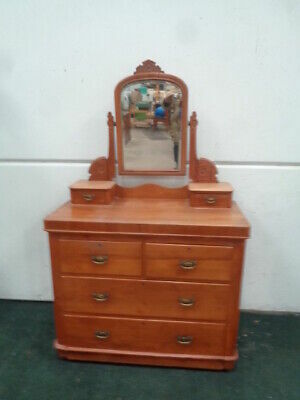 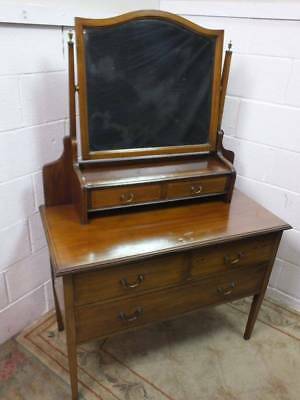 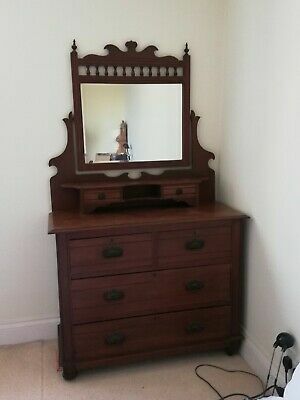 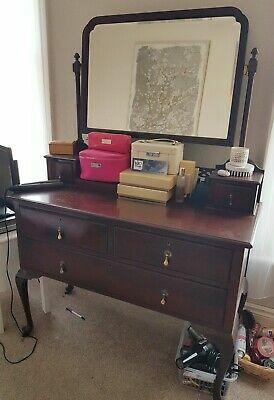 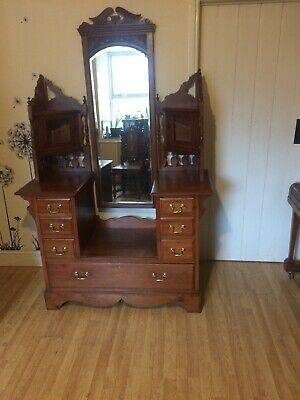 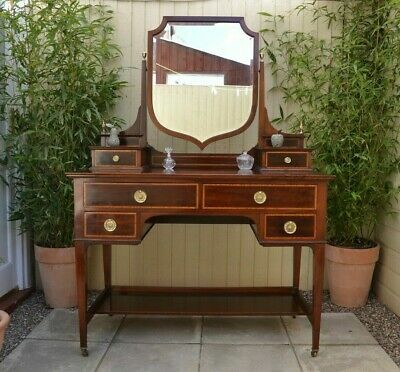 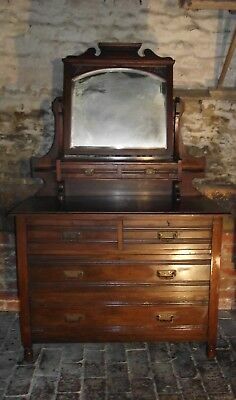 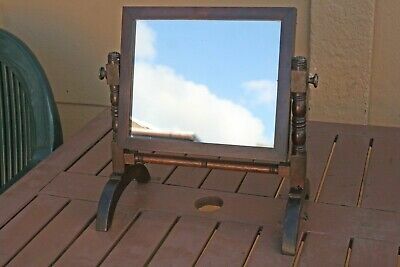 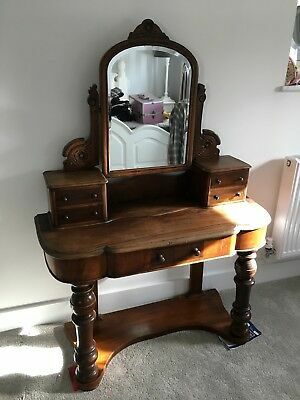 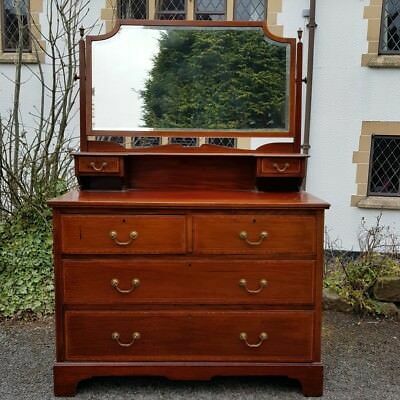 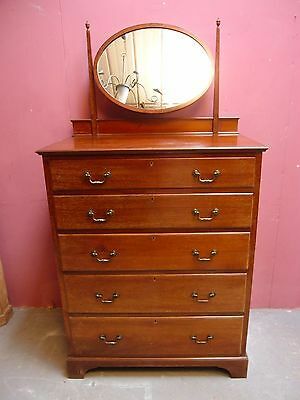 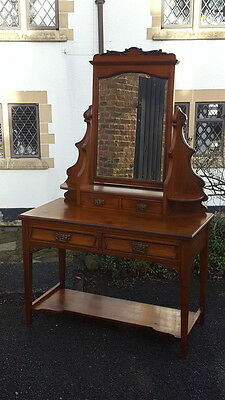 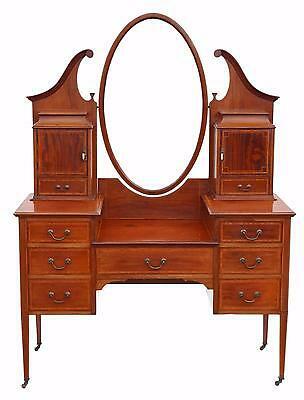 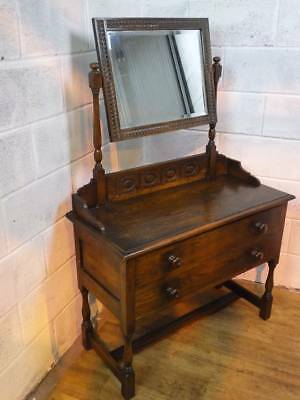 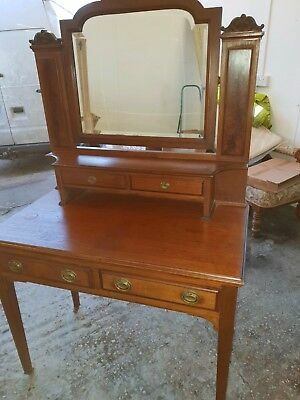 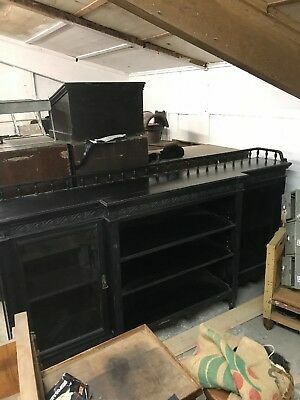 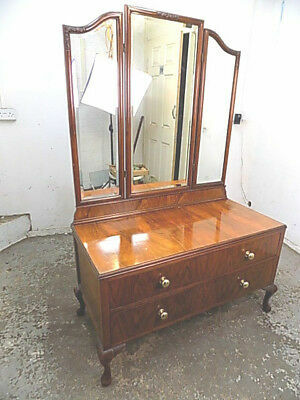 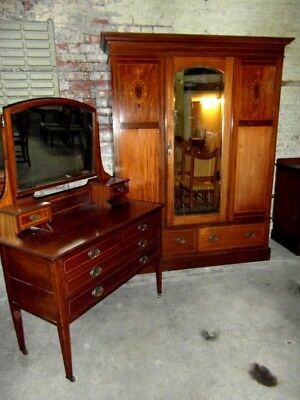 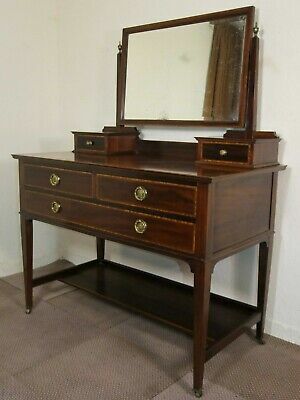 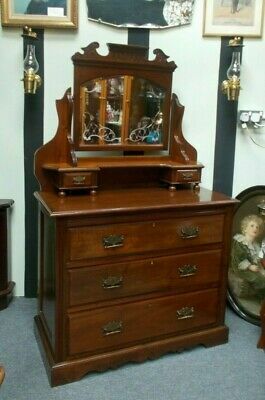 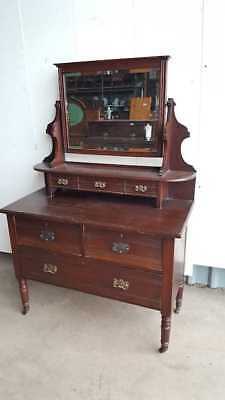 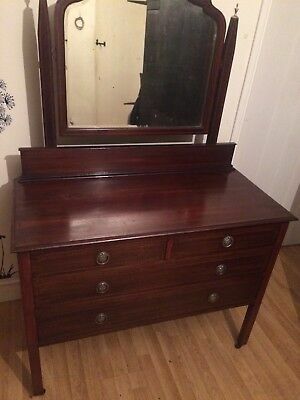 EDWARDIAN DARK DRESSING TABLE / CHEST OF 2 DRAWER, With LARGE SQUARE MIRROR. 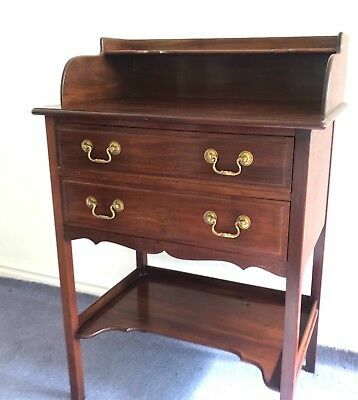 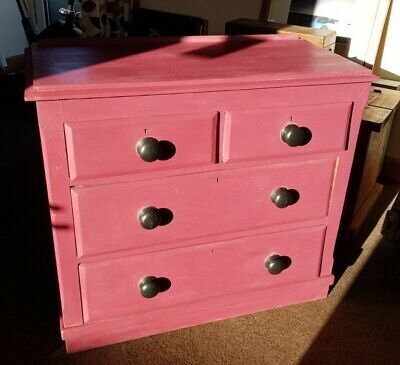 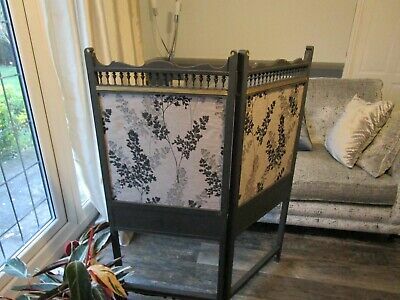 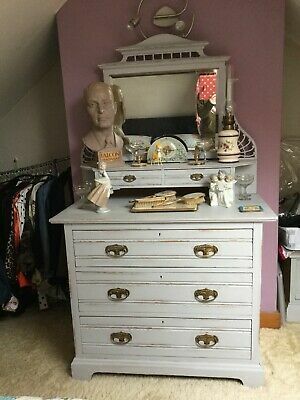 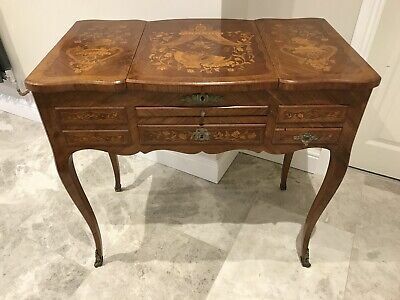 Antique Art Nouveau Dressing Table Chest of Drawers NATIONWIDE DELIVERY! 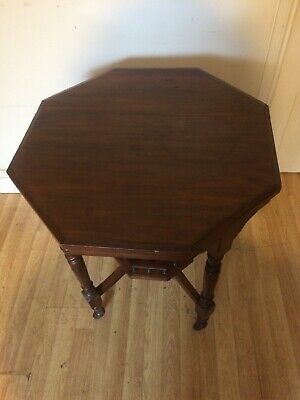 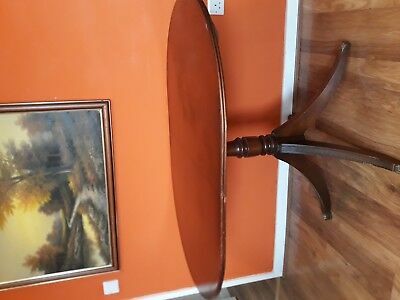 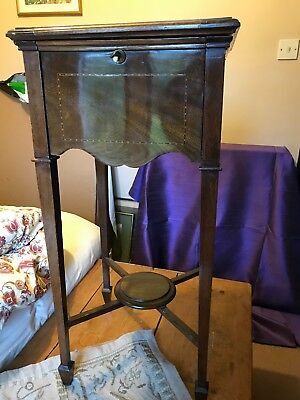 Edwardian American walnut octagonal side/occasional table with lower gallery. 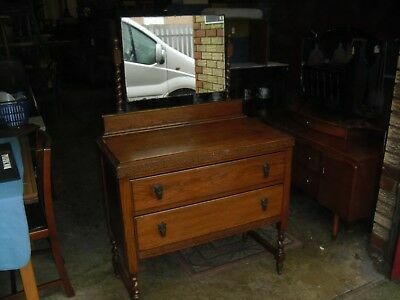 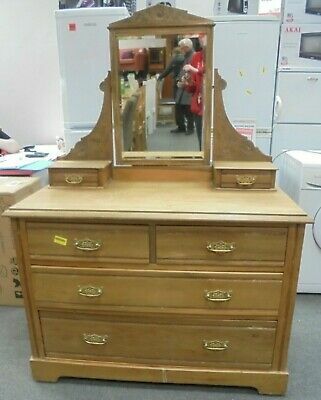 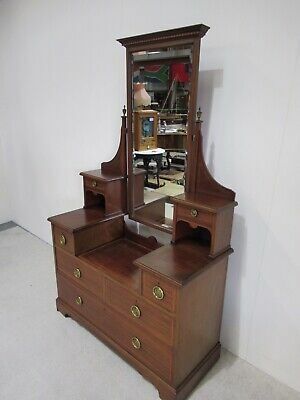 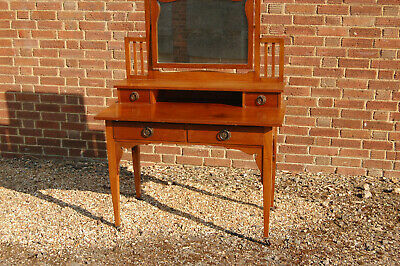 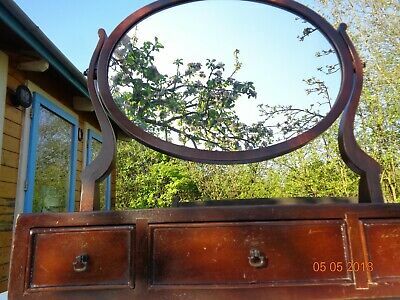 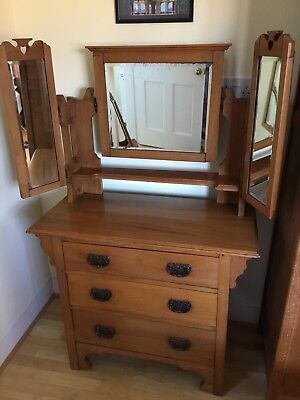 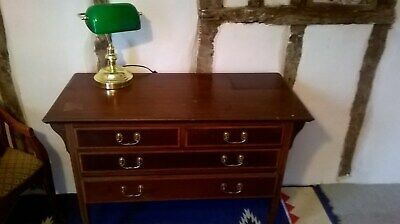 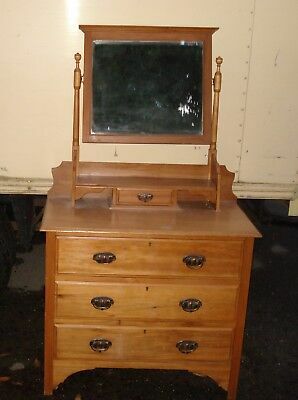 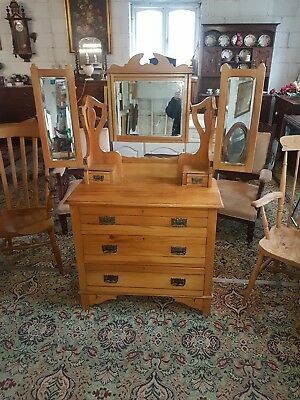 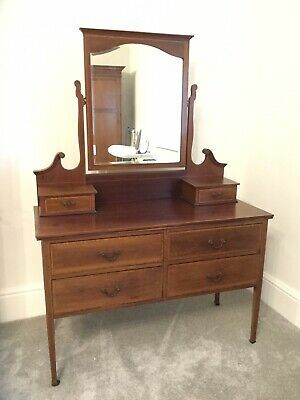 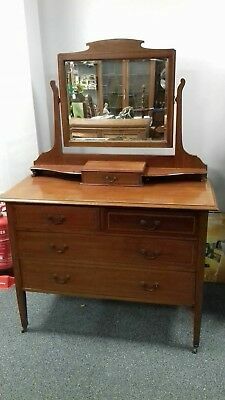 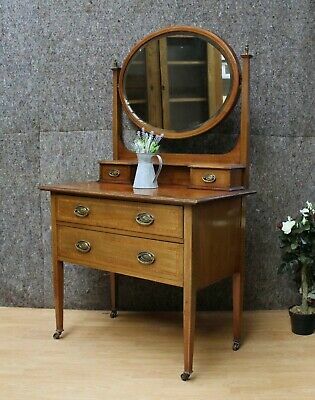 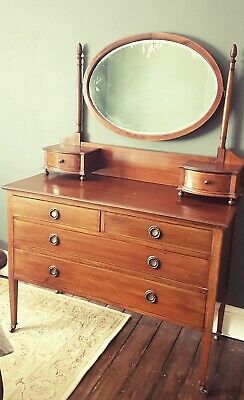 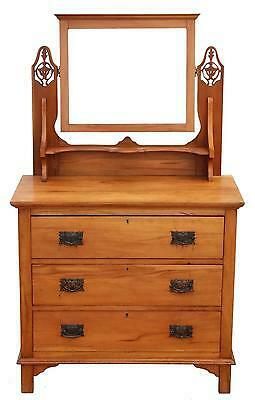 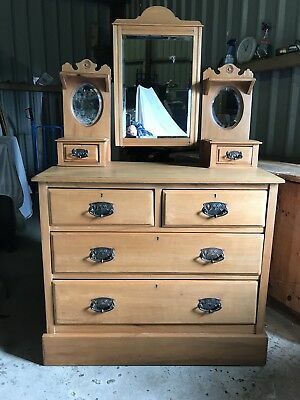 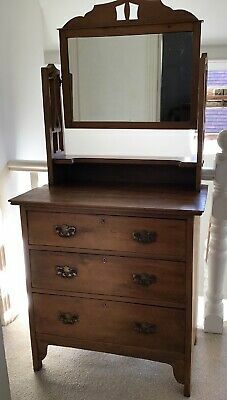 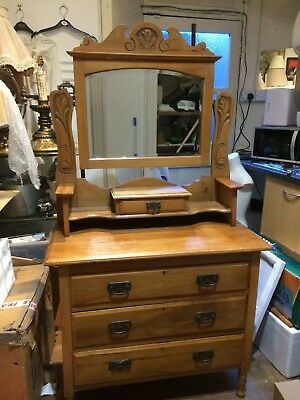 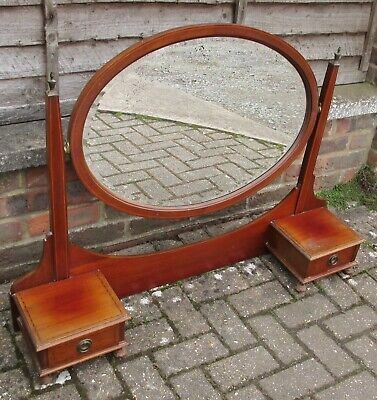 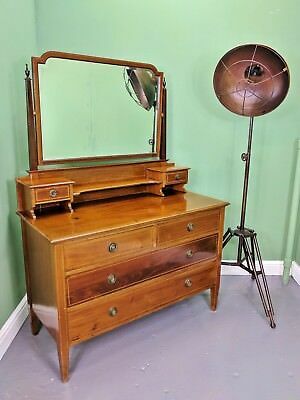 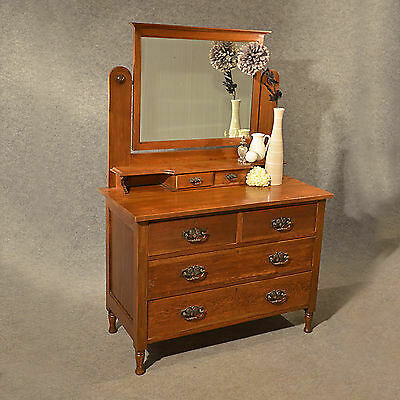 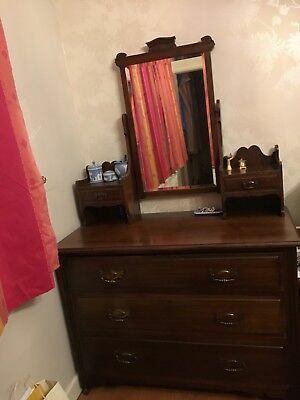 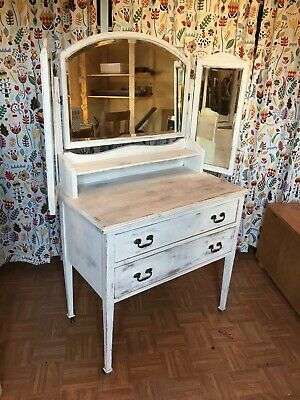 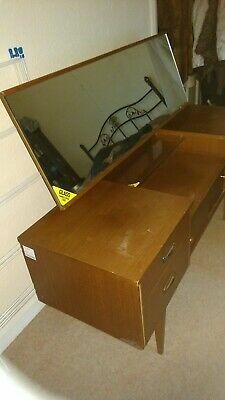 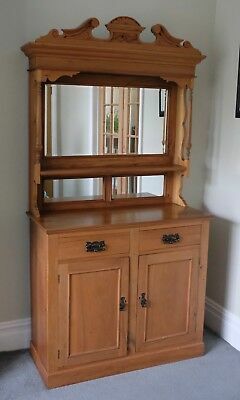 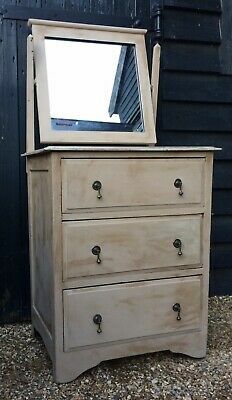 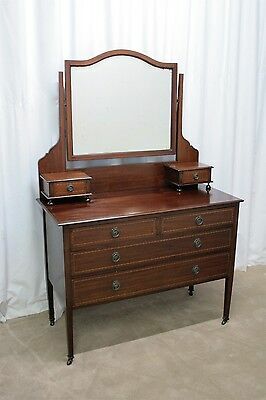 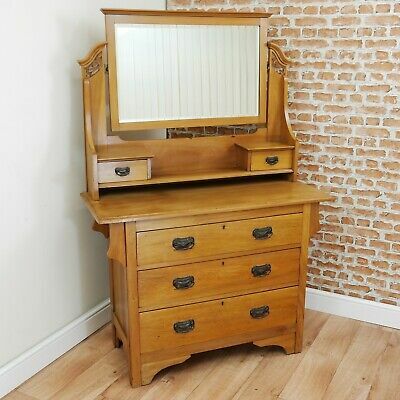 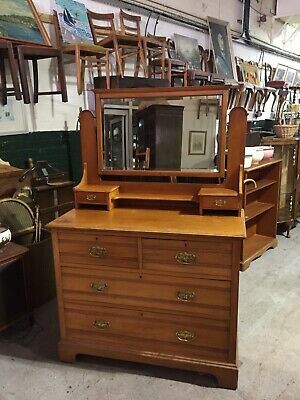 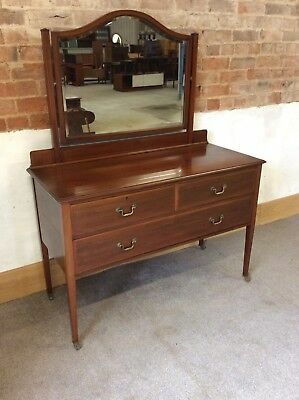 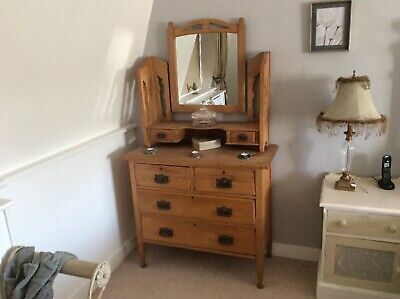 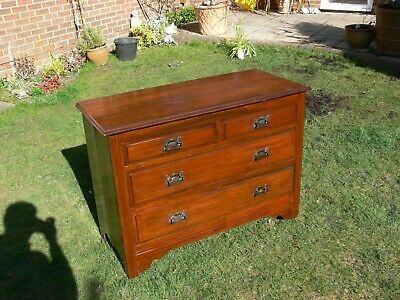 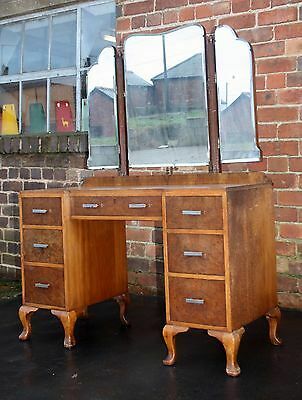 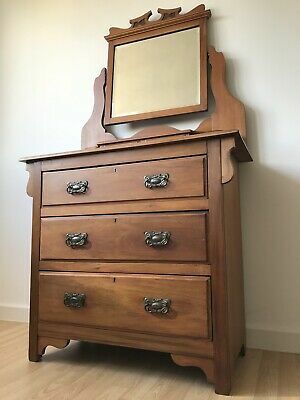 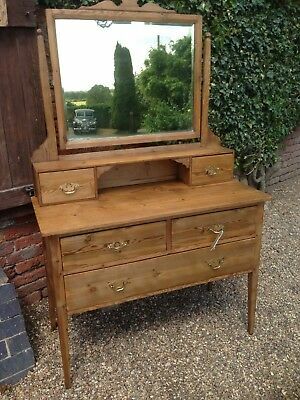 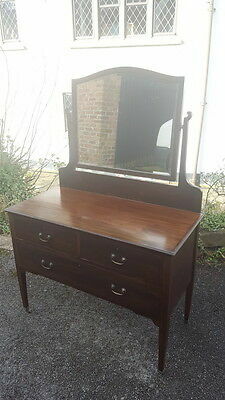 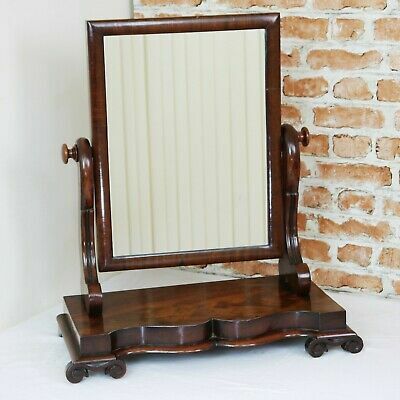 1948 UTILITY FURNITURE OAK DRESSING TABLE / CHEST Of 3 DRAWERS, With MIRROR. 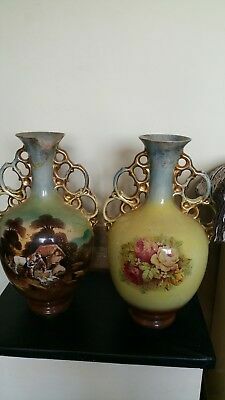 edwardian vases one has been damaged hence the price.